Is this chart up to date (Sept. 2017?). 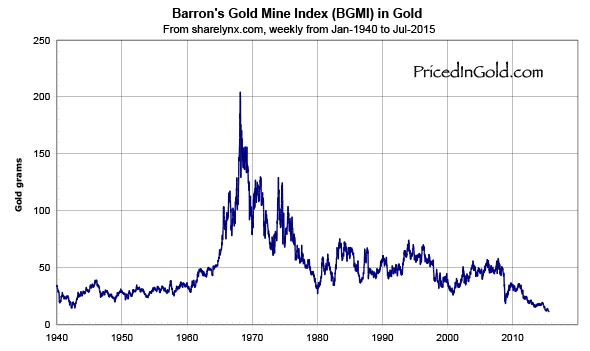 Is the BGMI priced in gold really at an all time low or does the chart end in the beginning of 2016? nevermind, I didn't read the caption. So January 2016 was an all time low, i.e. the miners were never cheaper during the past 80 years?